The American presidential election 2016 has been enthralling. 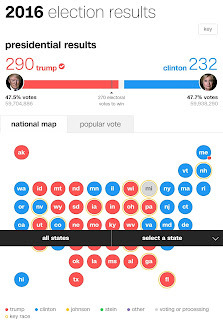 As can be seen from the electoral map, president Donald J. Trump won the election based on electoral votes, pulling a whooping 290 electoral votes as against Hillary Clinton's 232 votes. However, based on the popular votes, Hillary Clinton won the election. Hillary Clinton pulled in 59,938,290 votes representing 47.7% of the votes. On the other hand, Donald Trump pulled in 59,704,886 votes representing 47.5%. If you are scared of mathematics, then let me do it for you. Based on popular votes, Hillary Clinton won the election by 233,404 votes! This clearly explains the reason for the wide spread protests across the United States against his emergence. Authorities say there were protests in more than 25 United States cities. 7,000 people protested in Oakland, California and 30 were arrested. Similarly, 65 people were arrested overnight in New York over anti Trump protests. Some of the placards carried by the protesters read thus: "Trump is not our president", "Love Trumps hate", "say no to racism", etc. Trump's head was burnt in efiggy during the protest even outside Trump tower. lady gaga was prominent among the protesters outside the Trump tower. 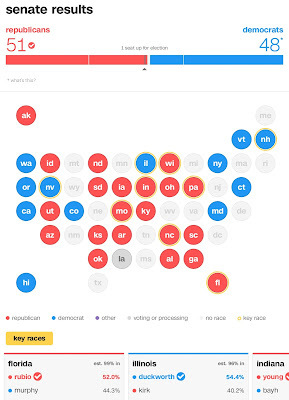 But then, what is the electoral college in America n election and how does it work? 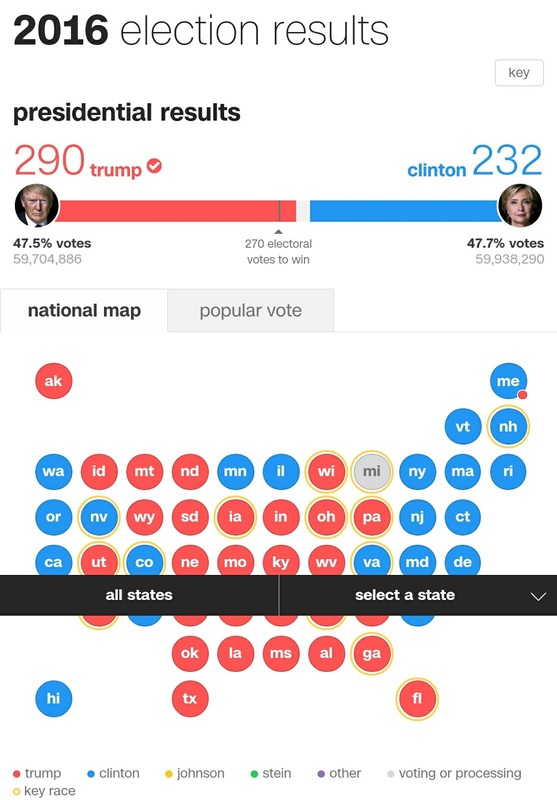 Donald J. Trump is the 4th President to lose the popular vote and win the electoral college vote to become president of the United States. In year 2000, George W. Bush received 500,000 votes less than Al Gore but won the electoral college votes to become president. Similarly, in 1888, Benjamin Harrison received 100,000 votes fewer than incumbent president Grover Cleveland to become president based on electoral college votes. Earlier in 1876, Rutherford B. Hayes received 250,000 votes fewer than Samuel Tilden to become the president based on electoral college votes. There was an exceptional case in 1824 when John Quincy Adams became the president. John Quincy Adams has lost the popular votes, but none of the four candidates in that election got 50% of the electoral college votes. 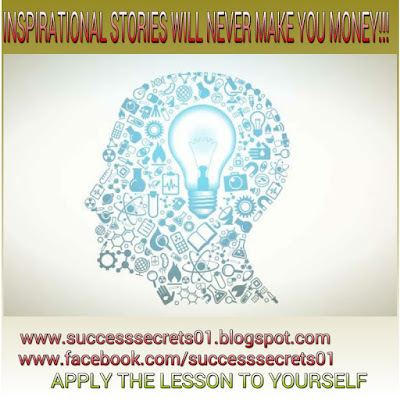 Consequently, the house of representatives had to decide who becomes the president. This is truly an exceptional case and hence is not included when taking statistics for presidents that lost the popular votes but won the electoral college votes to become president. Another interesting fact about this election is the fact that Republicans will control both the senate and the house of representatives. So in other words, white house, Senate and house of representatives are all controlled by the republicans. That should make things a bit easier for President Donald J. Trump. 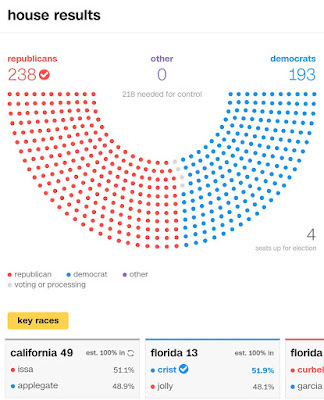 For the house of representatives, the Republicans have already won 238 seats while the democrats have 193 seats with 4 seats still open for election. 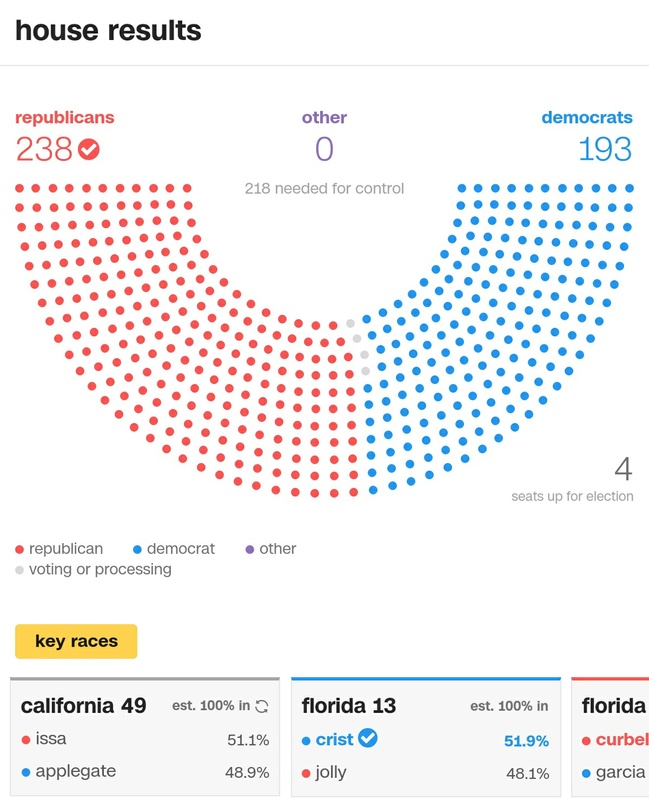 Since 218 seats are needed for control, the 238 seats occupied by the republicans already gives them majority control of the house. 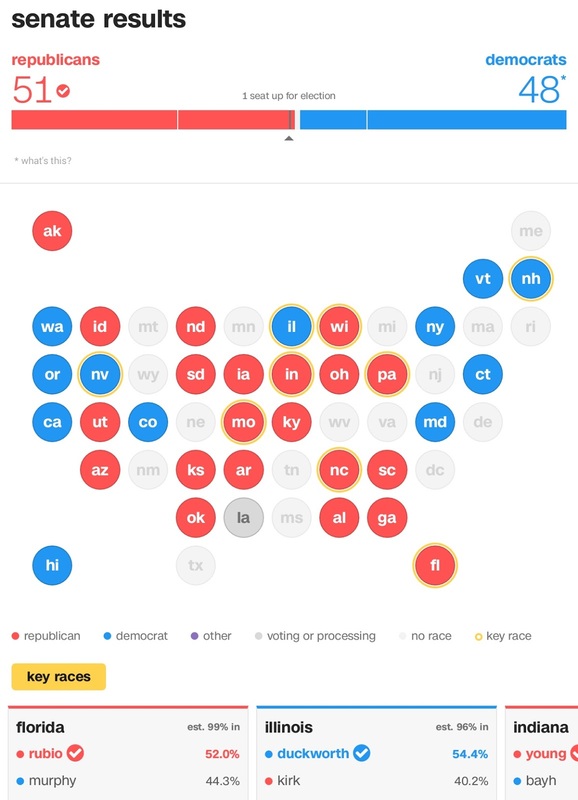 Similarly, for the Senate, republicans have 51 seats while Democrats have 48 seats with one seat still up for grabs. It is clear that the Republicans are in the majority here again and hence are in control.